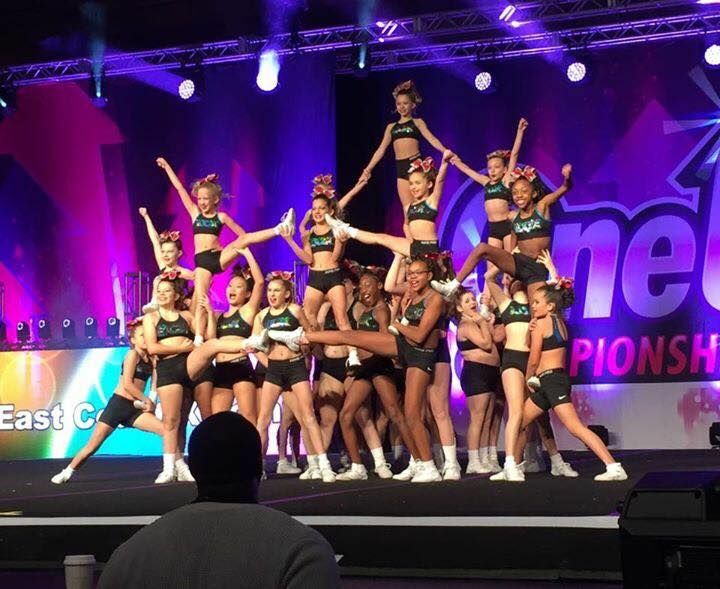 As co-owner and Head Coach of East Coast Xtreme Cheer, Leigh-Ann is living her dream. 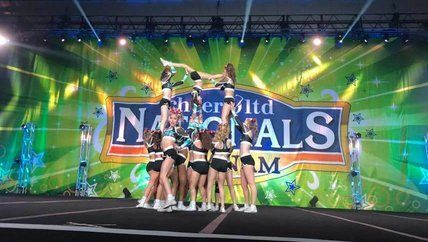 She grew up in the Hampton Roads area, and her cheer experience began with a recreation cheer squad at Atlantic Shores Christian School. She originally started as a dancer at the age of 3, and graduated with 15 years of experience in ballet, tap, jazz and lyrical dance. As she grew, she participated in team sports such as volleyball and softball, all the while continuing to dance. At age 12, she made the Jr. JV Cheer Squad at Atlantic Shores. She went on to cheer on the junior varsity and varsity teams. 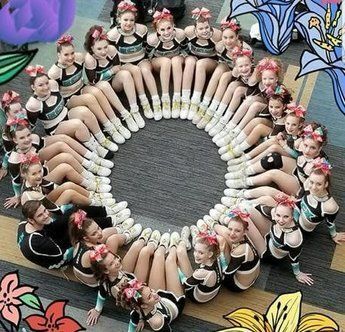 Although, at the time, Atlantic Shores was a new school, the cheer team quickly became the team to beat (and still enjoys that title to this day under the direction of Joy Bryant, Coach Leigh-Ann’s high school coach). As one would expect, Coach Leigh-Ann was a FEARLESS flyer. Her dance training paid off as she was awarded the designation of All American and was selected by both the dance team and the cheer team to perform in the half-time show at what was then called the Hula Bowl in Hawaii. She went on to receive two more NCA All American designations. After graduation, Coach Leigh-Ann modeled herself after her high school coach and returned to ASCS to coach the junior varsity team for two years. 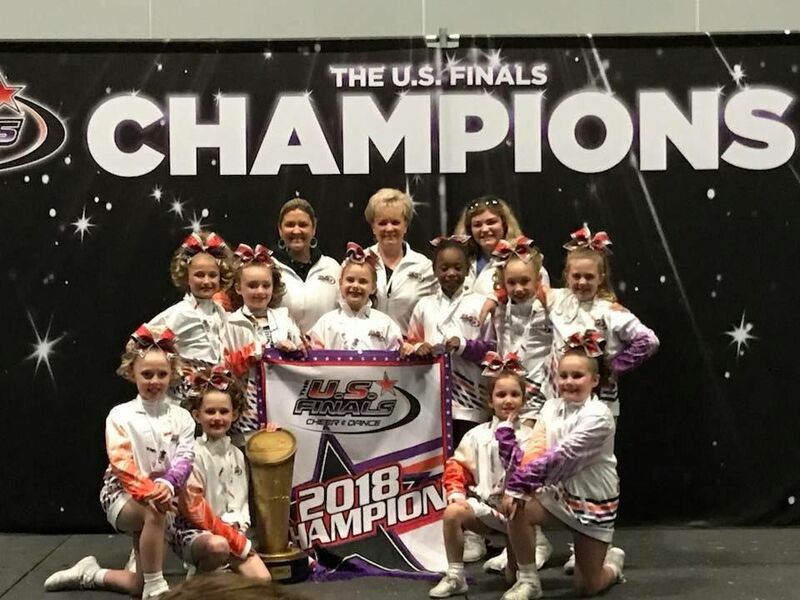 Several years later when her own daughter Savanah began cheering with a local All-Star program, Coach Leigh-Ann was asked to help coach the team. The team had never won a competition, and they were anxious as they warmed up to compete. Hence, the “checkmark behind the ear” came to be. The team won first place that day. Shortly afterwards, the program closed and Savanah was devastated. 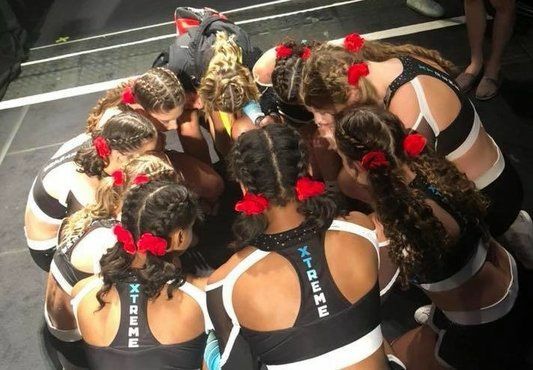 In less than two months, East Coast Xtreme opened its doors with 1 team, 8 athletes, 2 coaches and in rented space in a gymnastic gym (Hurricane Gymnastics). Coach Leigh-Ann’s coaching style is one of encouragement, positive re-enforcement and a sincere belief in whatever an athlete sets their mind to they can achieve. She and her team of “XCEPTIONAL” coaches have set out a plan for the 2017 – 2018 season and she is very “XCITED” about what is to come! Kala Carter began tumbling at age 3 in Ft. Myers, Florida. By age 5 she began competitive tumbling with TJ's Twisters in Greenup, Kentucky. Between ages 5-18 Kala was state and nationally ranked in all levels of power tumbling. She also was a member of the local dance company, River Cities Dance Company. She has competed in national competitions from San Antonio, TX to Myrtle Beach achieving top placements individually and with her teams. She began instructing in her gym at age 15, starting full time while attending college. Her path to coaching competitive high school cheerleaders began in 2004. She was the head tumble instructor for Greenup County High School when they won a medium varsity title in 2005 and a large varsity national title in 2010 for UCA NHSCC in Orlando. 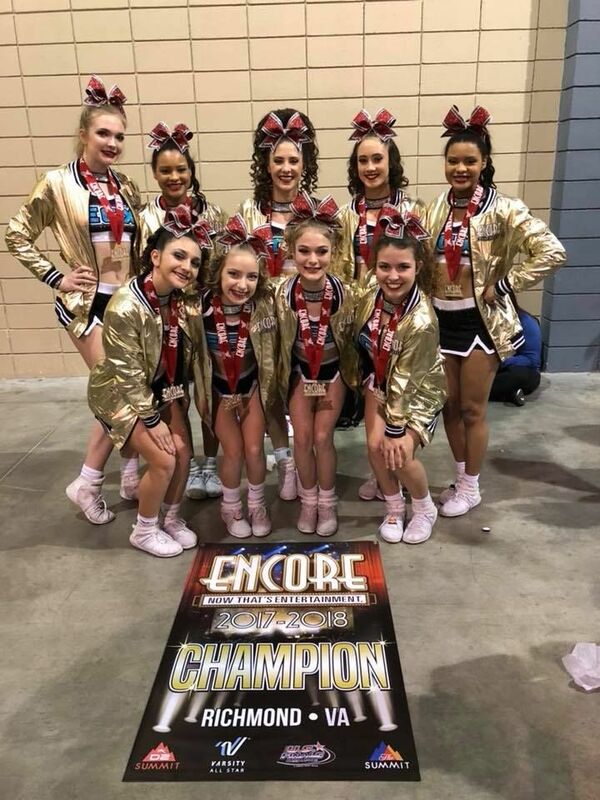 During these years, Kala created several contacts within the cheer world and became proficient with choreography, scoring, judging, tryouts and regional competitions in Kentucky. 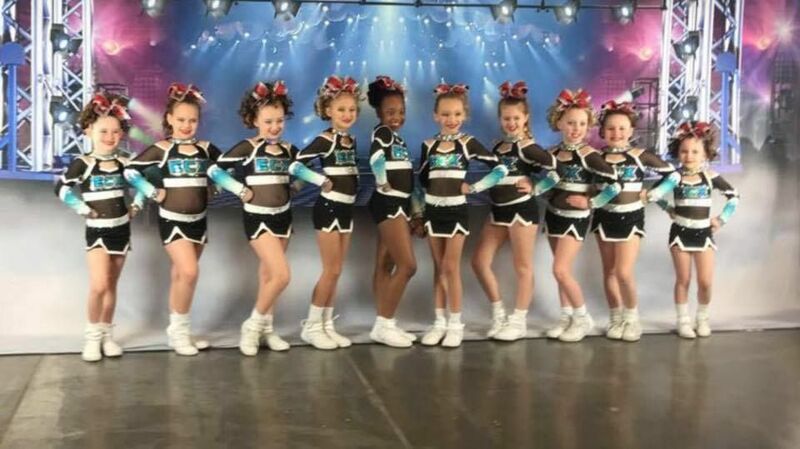 She was able to work with college level cheerleaders and head coaches of Allstar programs such as River Cities and Spirit Athletics. She has been trained by Debbie Love (Georgia Allstars, Kentucky Elite and GymTyme) to break down the proper technique and incorporate the kinesiology aspect of tumbling to an athlete. Conditioning and body control are factors in creating a confident tumbler. Kala has adopted Debbie Love's approach to skill building. There is a natural progression within tumbling and some work harder and longer than others. 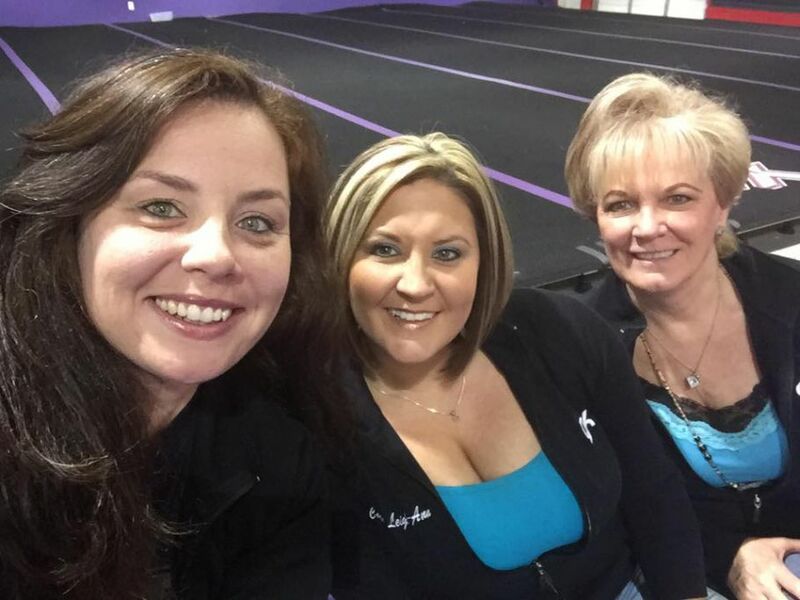 In 2010, Kala moved to Charleston, SC where she trained the Allstar and high school cheerleaders for ACX (American Cheer Xtreme) for one year.In 2011, she and her children moved to Carthage, Tennessee where she opened her own facility, The Tumble Factory. After two seasons, she established herself with over 170 students in and out of her classes each week. The local high school, Smith County began tumbling with her as a squad. She helped lead them to a 3rd place finish in Medium Varsity at Tennessee State High School competition in November 2012. The Tumble Factory is still a flourishing business in Tennessee. After relocating with her family to Chesapeake, she quickly began making her mark within ECX, creating powerful, stable and technically perfect tumblers. This is accomplished with dedicated students, an open mind and the drive to reach within themselves to be the very best they can be. Makenzie Dance was born and raised in Northern Kentucky. From the age of four, cheering is what she knew. Kenzie cheered both recreationally, for school, and eventually all-star. In addition to cheer, she also participated in her gym's hip hop program for a few seasons. While cheering herself, she helped as an Assistant Coach to the local Pee-Wee Football league throughout her high school years and helped with all choreography for local competitions. Outside of cheer, Kenzie was an active member of her high school. She was a leader for the school’s Mentor Program, actively volunteered, played varsity softball, was a peer tutor, Spanish Honor Society President, took AP classes, and was a dual-enrolled high school/college student her Junior and Senior years. Kenzie’s family found ECX when they made the move to Virginia in 2015. Immediately, they fell in love with the gym and ECX just happened to be in need of a spunky mini age girl, in which Avery, her younger sister, was a perfect candidate. Kenzie decided to go to ODU in the fall of 2016 to stay in close proximity not only to her family, but also the beach. With her family loving the gym so much, she decided to apply for a coaching position and felt at home instantly. 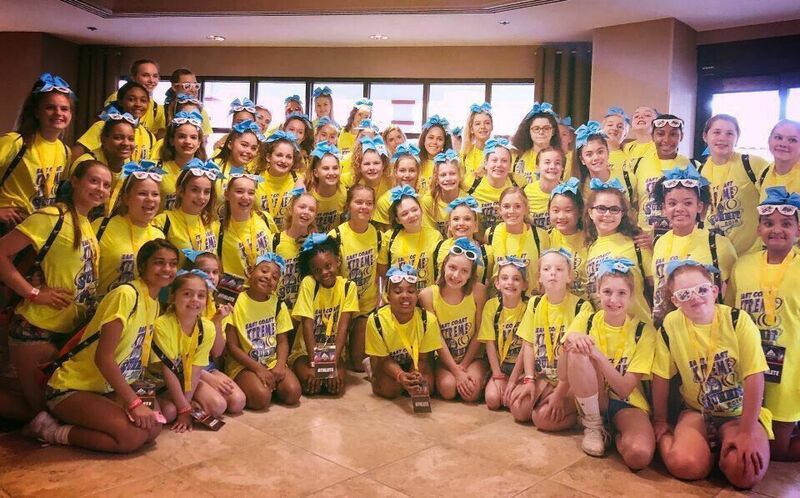 2017 begins her second season with East Coast Xtreme, and Kenzie could not be more thrilled. Being new to the world of coaching, she's learned a lot from the women at ECX and hopes to continue to grow as a young adult and coach. Kenzie strives for a fun and exciting atmosphere in the gym that the girls want to come back to. She believes in hard work, positive reinforcement, and holds the girls accountable to their full potential. She is excited to see how GR8 season 8 will be! James is a Hampton Roads native and a recent graduate of Old Dominion University. He studied Media Studies and plans to work toward an MBA in marketing in the near future. 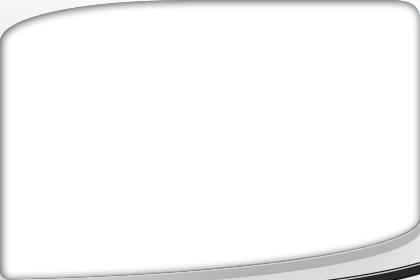 James currently works on the Sales Strategy team at Cox Media. His first introduction to the sport was at age 6 during a Christmas parade. He had initially enrolled in gymnastics, but quickly outgrew the local neighborhood gym. 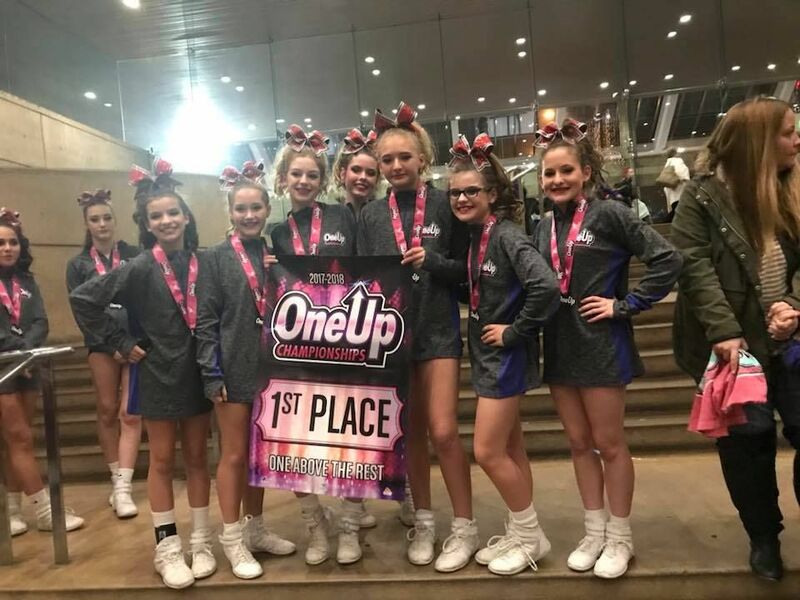 His instructor suggested he move to a higher-level facility, but instead chose a local all-star competitive cheerleading program. James grew up to be a four-year Varsity and Competition cheerleader for Bethel High School and eventually went on to serve as Captain. During this time, he also cheered for FAME All-Stars worlds teams in the large, medium, small and international coed divisions from 2009-2014. After one short year of cheering on the Monarchs at Old Dominion University, James started to venture to the professional side of the sport working as a camp instructor and choreographer for EDGE Cheer and Dance Camps, as well as eventually coaching at Bethel High School. James began his all-star coaching career with Cheer Extreme Hampton Roads and transitioned into the role of Program Director before joining the ECX Family. His favorite sections of the routine are pyramid, and dance. His favorite part of cheerleading is the high pressure atmosphere and attention to detail. He also enjoys utilizing his creative nature to push the limits. When Coach James isn’t at the gym coaching he is on YouTube watching cheerleading videos, looking for inspiration and following the trends of the sport. He also enjoys small scale photography and videography, online shopping and playing with his puppy Beyoncé. With his efforts to be multi-faceted in the industry, he has also taken a new position with the VHSL Cheerleading league as a judging/technical official for the 2017-2018 season. Born and raised in Chesapeake, Virginia, Savanah is a senior at Grassfield High School. She has been a member of the Grassfield Varsity Cheer Squad (2014, 2015, 2016 Virginia State Champions) for the past 3 years. Savanah starts the 2017 – 2018 school year as captain of the squad and with a strong desire to win a 4th State Championship ring. She participates with the Grassfield summer cheer camps training young cheerleaders new to the sport. She has helped raise $14,000 for Ronald McDonald House and CHKD by participating in the Annual Megan Curry Memorial Flip-a-Thon. She also attends the Blankets for Babies event every year to make blankets for the children at CHKD. Savanah is “xtremely” creative and assists in developing the choreography for ECX and some of the local middle school teams. She enjoys working with a team as a whole, but truly loves working with flyers to master tight body positions and bases with grips and strength development. Savanah is passionate about her sport. She never gives up on a teammate, a stunt or a tumble pass and she NEVER quits. She is knowledgeable, skilled, confident and knows how to motivate her teammates. Anna is 15 years old. She is a sophomore at Grassfield High School and has been cheering since the 2nd grade. She started her sporting career as a gymnast and won first place in the state of Virginia for floor exercise at the age of 6. She's always loved tumbling, and is a flyer for the Grassfield HS Varsity cheer team. As a freshman, Anna was named "Rookie of the Year" for the 2016-17 Grassfield Cheer Squad when they won their 3rd consecutive title in VHSL State Championship. She has been cheering at ECX since Season 1, and now is a member of level 4 and 5 teams at ECX!! Anna is a straight A student and an exuberant athlete! Anna has aspirations of becoming an orthopedic surgeon. Sherril Overton (a.k.a. "Mimi") is co-owner and Executive Director of East Coast Xtreme. A lifelong resident of the Hampton Roads area, she started dancing at the age of 8. At 16, she began working in the dance studio as a dance instructor assistant. Mimi continued as an instructor and performer for 40+ years. Her dance training and experience includes ballet, tap, jazz, lyrical and ballroom. She really enjoys training young dancers and athletes. Teaching them, and then focusing on the basics leads to proper technique, which is key to progression of more advanced skills. Mimi's coaching philosophy is based on building self-esteem and self-confidence in our athletes. To do that, an athlete must feel “safe.” Safe in knowing that she will do everything she can to prevent accidents and injury, but also safe in knowing that they can step out of their comfort zone. Mimi wants them to know that the gym is where they learn, make mistakes without ridicule, and fine tune their skills. As our gym has grown, she has taken on a more administrative role but still sits in on practices and offers suggestions to improve technique. It is important to her that she gets to know each and every athlete and their families.